New PES 2015 Trailer Next Week? 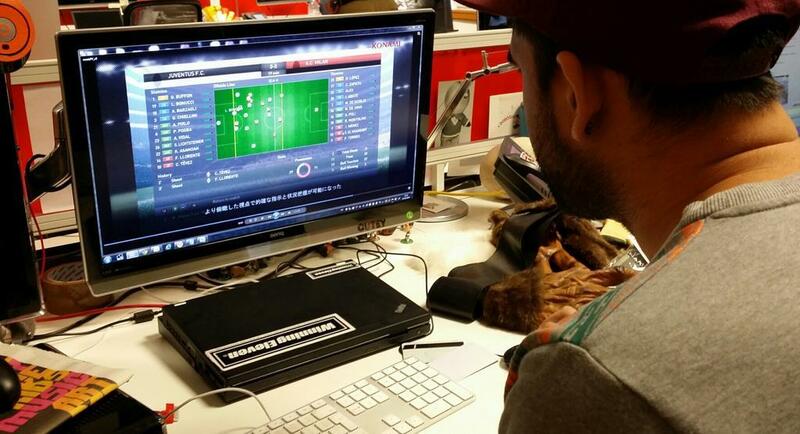 Konami just posted a very interesting photo via their French Twitter account, showing what appears to be a new PES 2015 Trailer on a screen, while writing "Cool stuff coming next ;-)"
The screen shot from the trailer appears to be showing some live match overview screen, making it fair to assume that the new Pro Evolution Soccer 2015 trailer will be a part of the PES 2015 mode reveals Konami have hinted about for some time. Let us know what you are looking forward to in the new PES 2015 Trailer below, or if you can help with the Japanese text in the image..